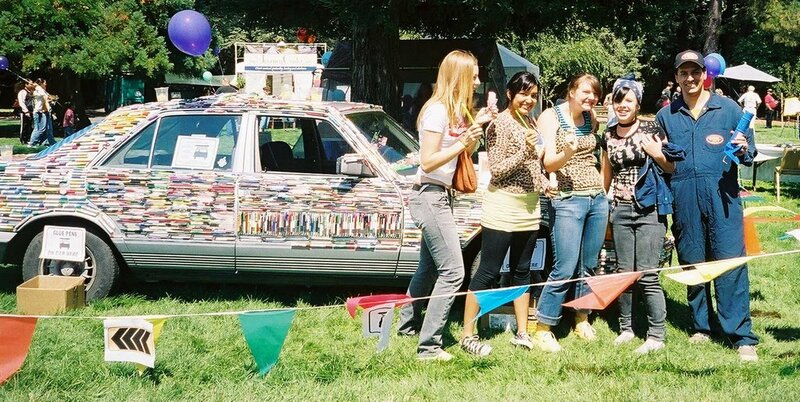 Art Car Fest 06 was Awesome!!!! This was an amazing event, thank you to all my art car family for being there. 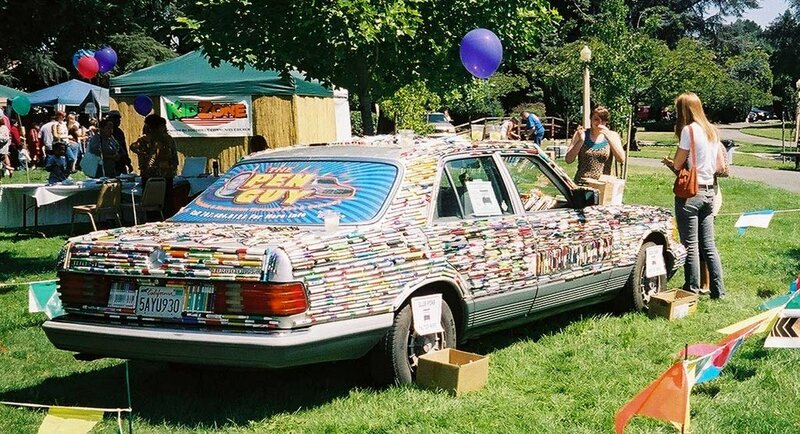 Thank you to all of you who came by to see the Pen Car and especially those of you who helped glue pens on the car. Check in later for more news…. 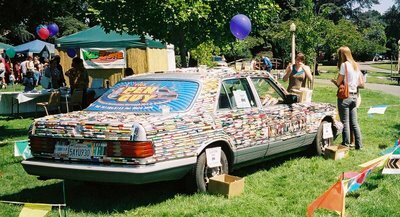 300 Pens Glued on Car at City Kids Festival!!! City Kids Festival was a success!!! and many others who donated many many pens for this event. 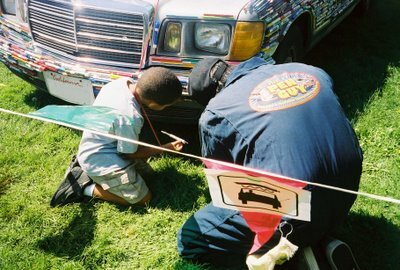 I had 300 happy kids who helped me glue 300 pens to the front and rear bumper of my car. 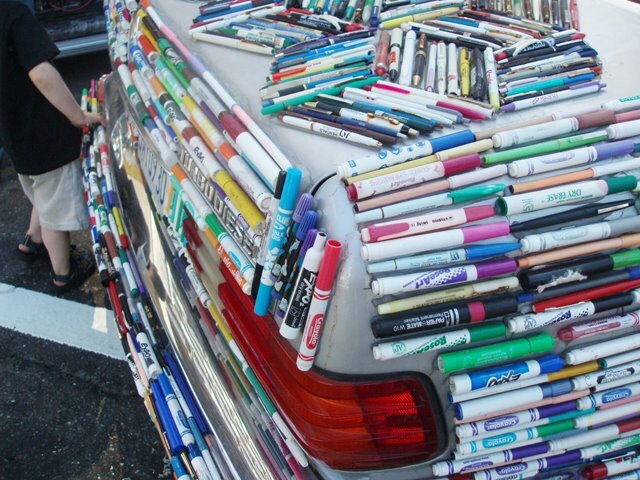 I also had a group of German tourists who had the opportunity to glue pens on one of Germany’s finest products. 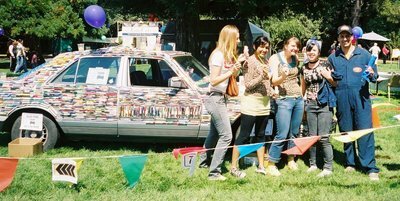 They must think Californians are totally nuts, but they had a good time and took some pictures. Q: What kind of glue do I use? Q:How many pens so far? A:close to seven thousand, give or take on the time of day. A:Maybe, if I am driving I have no idea, its all behind me know. I usually feel for loose pens and take them of right there and then. Q:It looks like a lot of work, is it? Q:Where did you get all the pens? A:Mostly donated by friends, business, schools, thrift stores and bought a few at garage sales. A:Not any more, weather makes sure they never work again. Q:How do you wash your car? 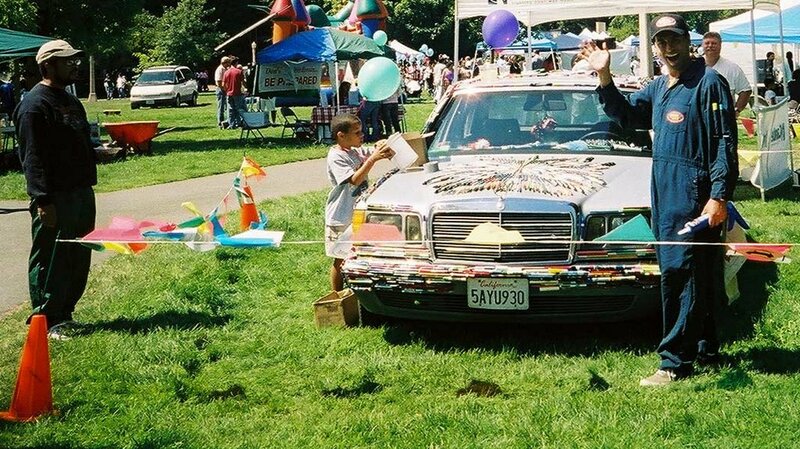 Next week I will be attending Santa Rosa’s City Kids Festival at Juliard Park from 10-4 pm. I will be there to hang out have fun and get some help from kids to glue more pens to my car. If you have extra pens you want to donate, or just want to come by and say hi, I will see you there.